The generation of consistent sales is key for a business that wants to grow and experience great financial success. There is a problem when small businesses focus their attention on everything but sales. Improving your marketing and customer service will not do your business good if there is an absence of a consistent flow of sales to reinforce these activities. After all, sales are the process that keeps a business in operations. If the importance of this process is neglected within an organization, the business will inevitably fail. Businesses that understand the importance of sales hires experienced salespeople to handle their sales activities. These are people who understand the dynamics of selling. You set your sales goals as the CEO and your salespeople develop the strategy to accomplish said goals. Hiring the best to handle sales is a must if a company is serious about increasing its customer base to earn more market share. Business owners often face the tough task of identifying a good salesperson. Qualities such as being persuasive, talkative, and being knowledgeable about the product are known skills a salesperson must have. However, these qualities do not guarantee success. Sales success requires a combination of different skills that play a role in attracting people to the product being offered. They are sold on the offer when said salesperson can make the sales process more about communicating value than actually selling. Only a few salespeople understand the importance of this distinction because they are constantly trying to meet their quotas. 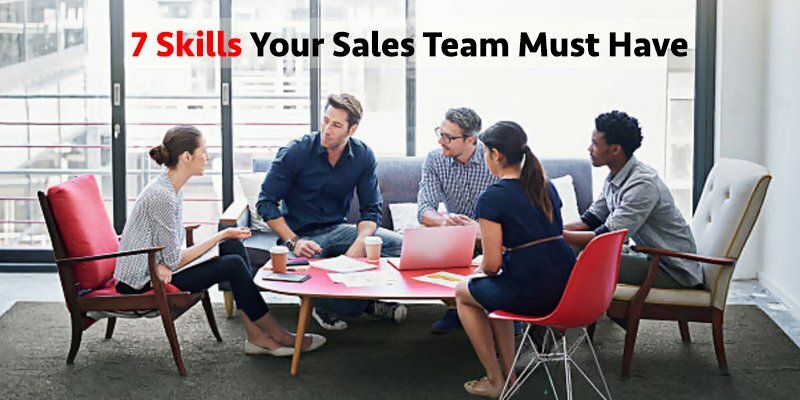 If you want your salespeople to produce high sales numbers, you will need to ensure that they possess the right combination of skills that helps produce results. What is great about the skills needed is that they are not difficult to implement. All that is needed is the focus on ensuring that the customer’s needs come before prematurely selling. Doing this will help your salespeople improve the deals they close, which will help your company experience continued growth. A boring conversation that pushes the product or service’s features aimlessly instead of solving a customer’s problems, will have the customer scurrying out of the sales meeting. The prospect does not care about information that is not important to their needs. The customer wants to hear relevant information that helps him or her understand that the product or service offered will actually solve their existing problems. Your salespeople can create engaging conversation by uncovering the pain points of the prospect. Knowing their issues pulls them into the conversation because they are now interested in how you can help provide them with a solution. Once you have their full attention, it makes the communication process much easier. Your salespeople can now have engaging conversations instead of doing forced selling. Listening is one the greatest forms of communication but in forcing prospects into making a purchase, many salespeople overlook its importance. As a salesperson, you are graded on a number of sales that you close. This puts pressure on your sales team to produce results. However, results are minimized when your sellers are controlling 90% of the conversation. When your salespeople stop to listen, they clearly understand what is needed and wanted by the prospect. This information helps them process and think of the best response to the prospect’s questions, instead of stating a predetermined answer. The process of listening helps to uncover information that was hard to unearth during the research process. Therefore, your salespeople are gaining valuable insight directly from the prospect that will help convert them into a customer. Even though you want your salespeople to be accommodating to the customer, you do not want them to be pushed around by the customer. The customers may be paying but your business is the source that holds the solution that they need. Your salespeople need to understand this fact so that they communicate within a position of authority. This will help the prospect realise that the salesperson is a subject matter expert and can lead them to the right solution. Even if the prospect is insistent on having things done their way, it has to established by your salespeople that they know how to produce the results the customer wants by taking on a different approach. The prospect may push back initially but will come to terms if you are able to present concrete evidence as to why your way is the best way. This earns the prospect’s respect in the process because you were not afraid of losing a sale by disagreeing with the prospect. This stance demonstrates that you are focused on providing the best value to the customer, and not just making a sale. Unfortunately, salespeople have a bad reputation of being untrustworthy and not truly caring about the customer. The held thought is that they are just in it for the money. This causes prospects to put their guard up because they do not want to get taken advantage of or be told false information. Your salespeople will need to work towards establishing trust so that they can get the prospect to open up and be responsive. It will otherwise be an uphill battle trying to get the prospect to open up about their business. Your salespeople can form these much-needed connections by understanding the prospect’s problem clearly. The conversation needs to revolve around the reason behind the existence of their problems and what the best solutions to their problems would be. The conversation is being taken off the sale and is now being focused on what is relevant to them. At the same time, selling is still occurring because the solutions being discussed are the ones that your company offers. At the end of the conversation, the prospect will want to know how they can gain the solution discussed , which is when the push for the offer can finally occur. Your salespeople will want to sell to any and everyone so that they can meet their sales quota. However, this approach only creates frustration, rather than massive sales. Not everyone that identifies as a prospect for your business is a qualified prospect. You disqualify prospects by asking specific questions that help to uncover their problems, motivations and preferred solutions. If their answers do not fit your company’s approach, then that prospect is unlikely to become your customer. Your salespeople can come back to them at a later time to see if they can be converted during a slow sales period. However, this should only be done when their sales pipeline is near empty. Customers want to know how you can help eliminate their problems with effective solutions. The enthusiasm your salespeople express for your business will not encourage prospects to make a purchase. What will motivate them to take this action is being provided with clear examples of how your products or services have helped other customers improve their businesses. Presenting a prospect with only one option reduces their chances of making a purchase. They feel as if they are being pushed into making a purchase. When you provide them with options, they can see the level of value being provided at different price points. Although the lower-tiered pricing fits their preferred budget, they cannot deny the fact that the higher-priced options provide more value. Understanding this fact, they will raise their budget to get the better value. This is a win-win situation for both your salesperson and the customer. They make more money on the sale and the customer is being provided with a better product or service. Rikvin’s expertise is unrivaled in Singapore. With twenty years of know-how in company incorporation, accounting, tax, payroll and immigration services, you can count on us to be your dedicated one-stop business solution.